If you’re going to take to the battlefield, might as well do it with some flair. 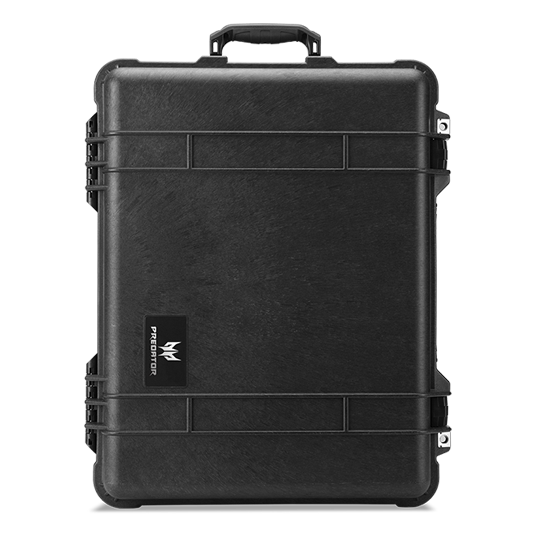 While undoubtedly a bragging right unto itself, the Predator Hard Case is more an ultimate source of protection for your beloved gaming device and/or accessories. As gamers, we cherish our gaming devices—which is why, when it comes to protecting them—only the best will do. 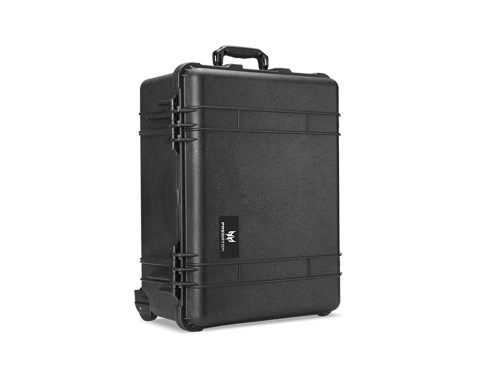 Solid, military-grade plastic1 forms the outer shell which can handle some of the harshest (-40°F to 210°F) environments available—including game conventions. Plan on travelling with a laptop? Mousepad? AC adapter, etc.? 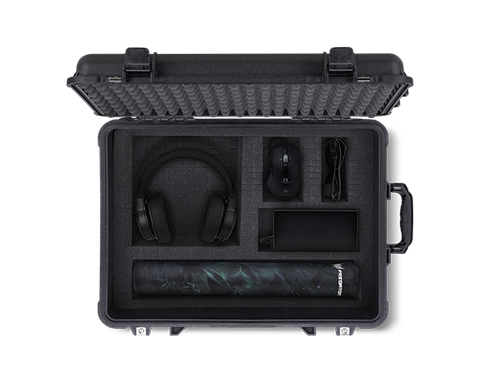 Everything you need (realistically) to game at a moment’s notice can be easily tailored with the Pick N Pluck™ foam. Just pull a few foam squares out, slide in your favorite accessories and you’re ready to roll out. 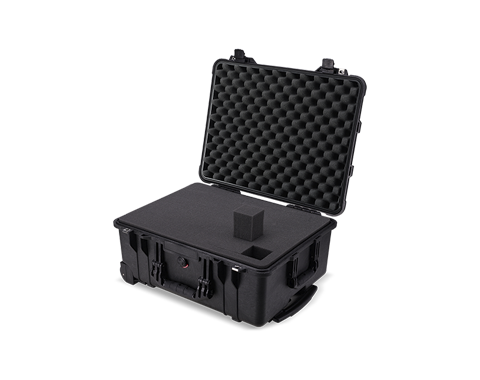 This case was made to be indestructible and to keep what’s inside in prime condition. How, you might ask? By being watertight, crushproof and dustproof. The solid walls, double-throw latches and Automatic Pressure Equalization Valve (with O-ring seal) are a guarantee that none shall pass. While the rubber over-molded top and side handles could allow you to comfortably carry the Hard Case as part of your new workout regimen, we suggest putting the two polyurethane wheels (with stainless steel bearings) to use instead. Just retract the extension handle and adventure awaits. 1 – Made from polypropylene.